After the revamp of its search, Google keeps rolling out updates for its Google+ products. 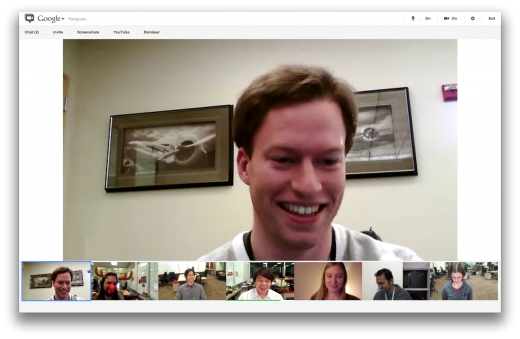 Today, Hangouts get a refresh and includes a feature asked for by many, screensharing. The feature was only previously available under “Hangouts with Extras” and has joined the main product. Screensharing: share what’s on your computer screen with everyone in the hangout. This is the first of many extras we’re graduating to Hangouts proper. Bigger video: we’ve put more emphasis on the live video itself by optimizing white space and other screen elements. While screensharing is a “cool” social feature, the addition of this means that businesses now have more reasons to try the social service internally. 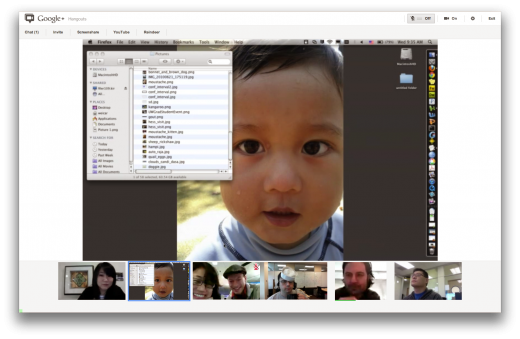 Being able to have multi-user video chat with colleagues is great, but letting your co-workers share their screen no matter where they are is huge. Using its “sandbox” approach to testing, Google+ promises to include more features that it finds to be successful in optional trials.